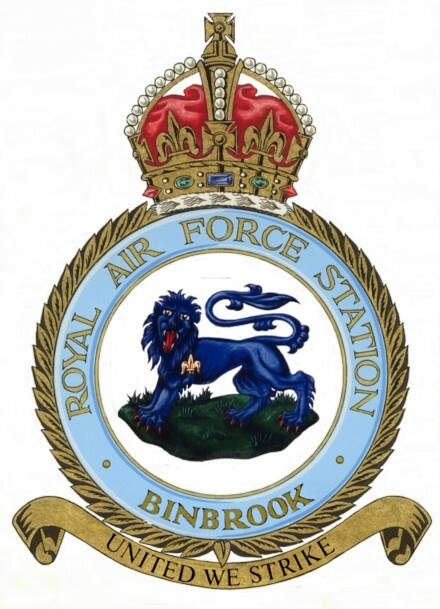 Binbrook air field (RAF Binbrook, ICAO: EGXB) was an airfield 215 kilometers north of London. 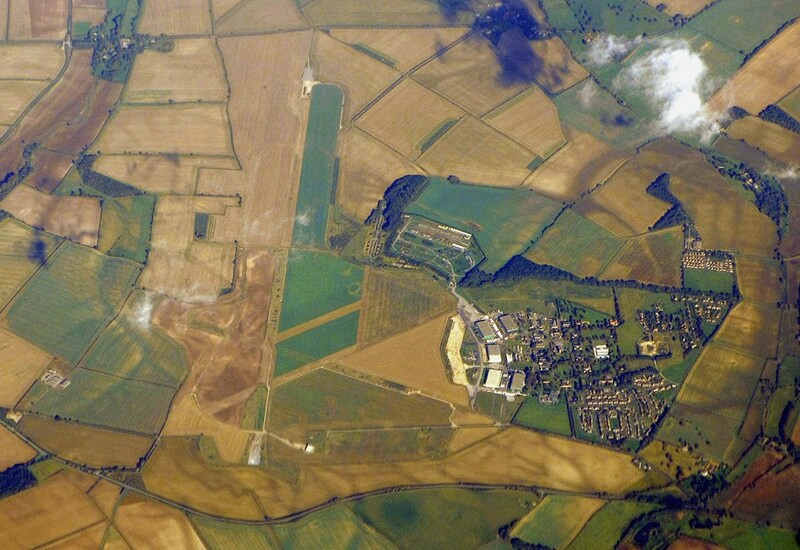 The airfield was one of the last Expansion Scheme airfields and built between 1938 and 1940. 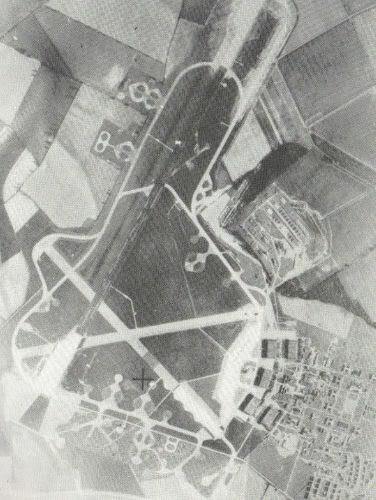 It had the usual bomber airfield layout of the time, with 5 C-type hangars facing the 'bombing circle' with the administrative and technical barracks in nearby. The flying area and basic operational facilities were ready in June 1940 and during the following months two squadrons arrived: 12 and 142 Sqn. From France, they brought what remained of their Fairey Battles. Although they had been decimated in France, their services were immediately needed in the South of England. At the end of the summer they returned to Binbrook, but continued to fly night interdiction missions over the Low Countries. From the end of fall 1940, both squadrons began their conversion to Wellington bombers, but the process went slow due to non-availability of new airframes. As a result, it took until the early spring of 1941 for the squadrons to fly operational missions. To park their new heavy bombers, a number of pan-type parkings were laid out around the airfield. 142 Sqn moved out of Binbrook after only one year and 12 Sqn left by the end of Summer 1942. After that, three hardened runways were laid out at the airfield at a cost of £200,000. The runways were 04-22 at 2,000 yards, 09-27 at 1,415 yards and 15-33 at 1,429 yards. To reach the required lengths, the airfields boundaries had to be extended in some areas. This resulted in the main runway having a slope towards the valley at its 27 end. 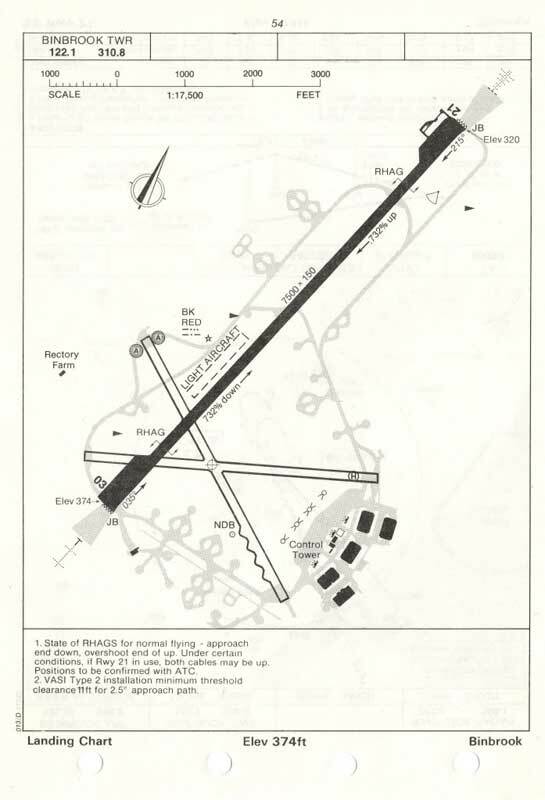 A perimeter track was also laid and 19 loop-type parkings for aircraft were added to the 18 pan-types that remained after the runway building programme. With additional accommodation the station provided for a maximum of 2,700 personnel. When building was complete in May 1943, 460 Squadron of the Royal Australian Air Force arrived from Breighton. Flying Lancaster's, it remained the sole operational unit based at Binbrook for the rest of the war. the squadron developed into three full flights and frequently had a complement of no less than three dozen Lancaster's. As a result, 460 squadron is credited with delivering a higher bomb tonnage than any other Bomber Command squadron (about 24,000 Imperial tons). However, it also meant that Binbrook sustained the highest casualties and losses of any unit in 1 Group. About 130 Lancasters were lost on operations and another were 30 written off in crashes. Additionally, two Lancaster's were destroyed and eight damaged on the airfield when incendiaries ignited during loading operations in the summer of 1943. In total 226 Bomber Command aircraft were lost on operations flying from this station: 7 Battles, 79 Wellingtons and 140 Lancasters. 460 Squadron moved to East Kirkby in July 1945 and at the end of the summer 12 and 101 Sqns moved from the utility buildings of their wartime bases to the permanent accommodation at Binbrook. The following year brought 3 squadrons equipped with Avro Lincolns, namely 9, 12 and 617. English Electric Canberra units first appeared in the summer of 1952. At some point in time there were five squadrons with the type based at the station: 9, 101, 109, 139 and 617. Eventually all squadrons were moved or disbanded and at the end of 1959 Binbrook was put on Care & Maintenance status. Canberra bombers at RAF Binbrook, 1952. Notice that at 2:35 there are still Lincoln bombers at the airfield! 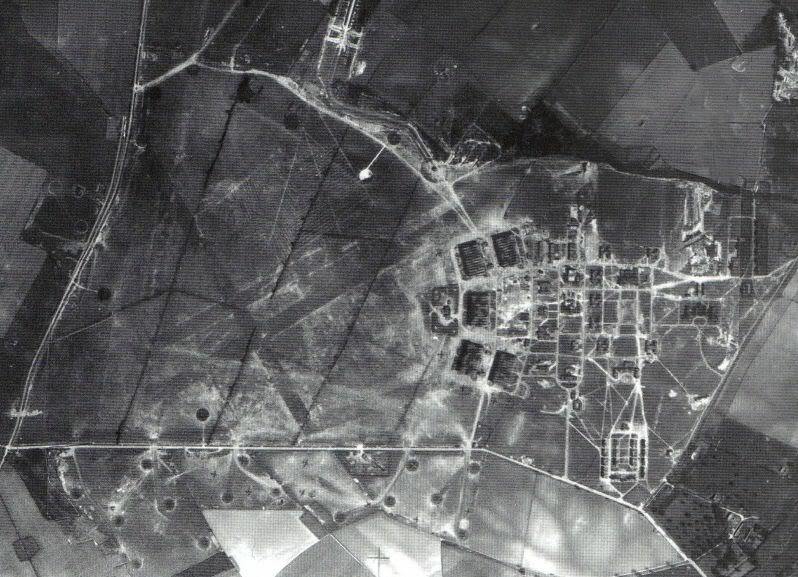 Fighter Command became interested in the airfield, but required a runway extension of 500 yards. When Binbrook reopened for flying in June 1962, the first element of Fighter Command to take up station was 64 Squadron with Javelins. 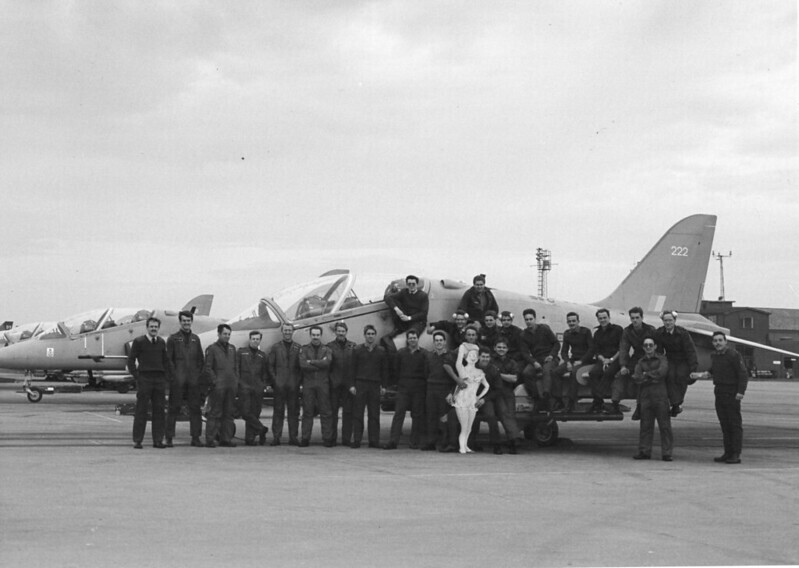 The squadron stayed nearly three years. 85 Squadron, with Meteors and Canberras for air fighting development duties, was at Binbrook for nearly nine years. Then in October 1965, English Electric Lightning's arrived for a new 5 Squadron, joined by a second squadron, No. 11, in 1972. One of the Lightnings was alledgedly involved in a UFO incident over the North Sea in 1970. The Lightning squadrons remained until the last one deactivated in June 1988 - the last Lightning squadrons in RAF service. In the 1980s, the RAF realised the Warsaw Pact far outnumbered NATO forces. In an effort to turn numbers a little less disadvantageous, the Hawk T.1 trainer was modified to have the secondary role of fighter aircraft. Of course, this meant that T.1s had to train on the British Aerospace Air Combat Maneouving Instrumentation (ACMI) range over the North Sea. Binbrook was one of the stations that Hawks were operating from during these sorties (David Turns, on Flickr). RAF Binbrook was then surplus to RAF requirements and plans were made for its disposal. But before this occurred, Binbrook was selected for location filming of the Warner Bros remake of Memphis Belle. Filming took place in July 1989 with five B-17 Fortresses on hand, two flown in from the United States and two from France. One of the latter suffered a take-off crash and burnt out, fortunately without loss of life. For the film it was necessary to erect a wartime-type control tower, which-was built by local labour in brick slightly in front of the post-war building. It was demolished after the filming was completed. The pan hard standings on the west side of the airfield were used to park the B-17s. Beyond them a fake church tower was erected in a farmer's field to simulate the opening sequence in William Wyler's original film. The larger part of the airfield was put up for sale late in 1989, although the hangars were retained for military storage until 1998 when they too were sold. 643 Volunteer Gliding School continued to use the airfield between mid 1991 and late 1992. Only the flying field and runway were retained by the Ministry of Defense. They continued to be used as a Relief Landing Ground for RAF Scampton into the 1990s before eventually it closed and all military activity ceased. Both were subsequently sold off for redevelopment. 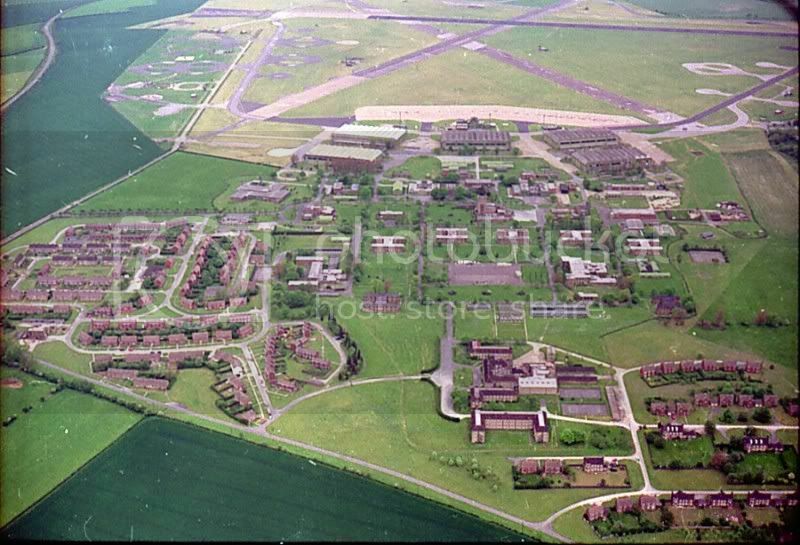 RAF Binbrook in May 1991 (AirfieldResearchGroup). 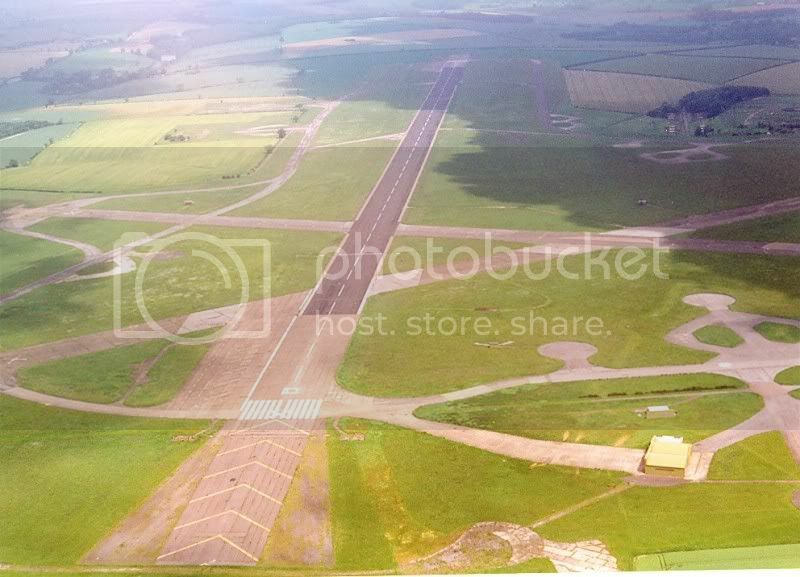 The runway of RAF Binbrook was stil in good shape in June 1997, as were the QRA facilities, visible in the lower right of this photo (AirfieldResearchGroup). A memorial to No. 460 Squadron is to be seen in Binbrook village. While the station was partially getting demolished in the 21st century, strangely the QRA facilities did not. They were still virtually untouched in February 2012, according to a report at the AirfieldReseachGroup. Most of the runways had been removed however, and the platforms were said to follow their fate. 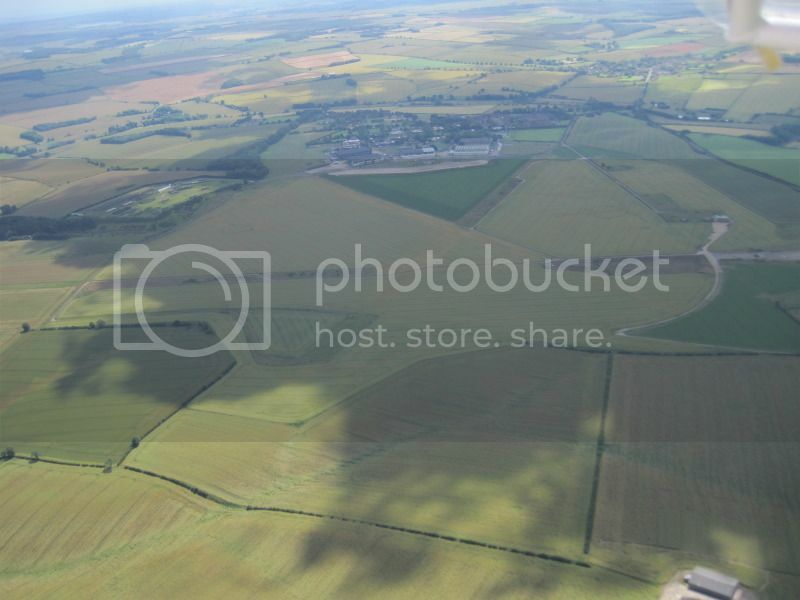 The runways of RAF Binbrook had almost completely disappeared in August 2012 (AirfieldResearchGroup).